By TLex Once extreme free-diver, Chrisian Redl has pushed the limits of we thought was humanly possible, when he embarked on the Gokyo ice dive on October 17th in Nepal. He broke the world record for an ice-dive at an altitude of 5160 meters above sea level and became the first human to have done so braving the extreme weather and a potentially lethal oxygen-deficient atmosphere, where the risk of pulmonary edema increases with every meter climbed. Christian was accompanied by a team of safety divers and cameramen, who documented his dive. 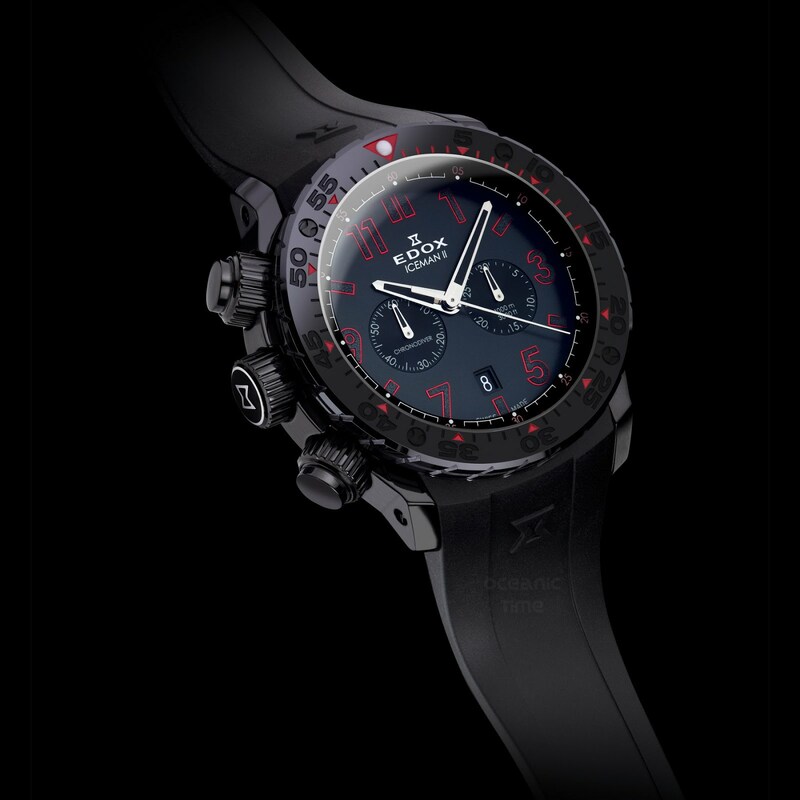 He also accompanied by his trusted 1000meter water-resistant Edox Iceman II Limited Edition watch with black ceramic bezel, which we saw some renders of back in July . 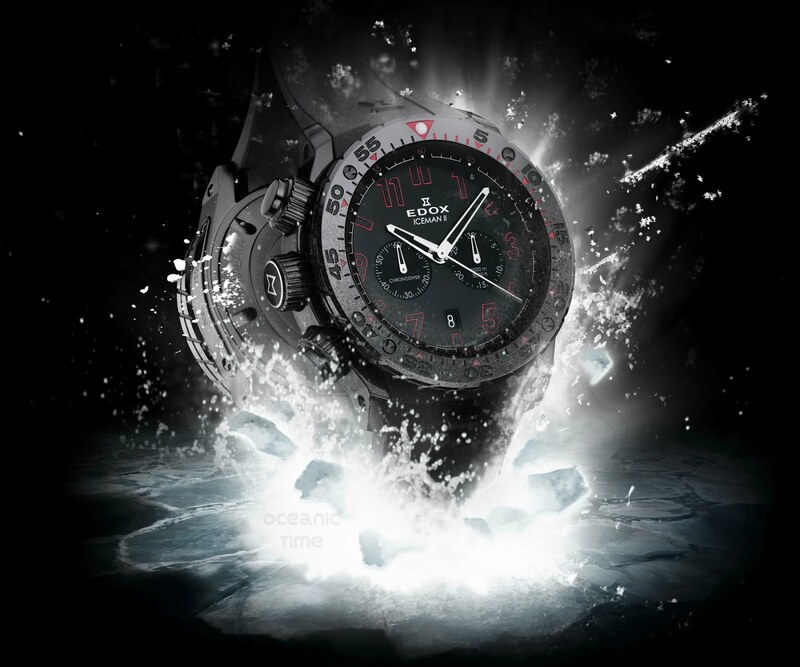 . .
From EDOX The new Edox Iceman II Limited Edition represents a fresh conquest. 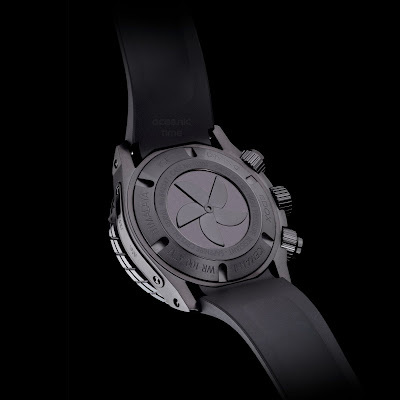 Now virtually synonymous with Christian Redl, this is truly a statement watch: water-resistant to a record-breaking of 1000 meters, with a ultra robust and reliable chronograph movement. The deep black case reflects the depths of the water, while the anthracite dial enables optimal readability. Fitted with a genuine rubber strap, this timepiece is a true divers' tool. As the deepest of the Gokyo lakes measures 203 feet, just 203 Edox Iceman II timepieces are produced.